Personalwatecraft.com recently reviewed the 2013 Sea-Doo GTS 130. BRP’s 2013 Sea-Doo GTS 130 is a great value for the entire family it is an entry-level watercraft that seems like anything but an entry level watercraft. The GTS 130 delivers the most delight you can get for your personal watercraft dollar. 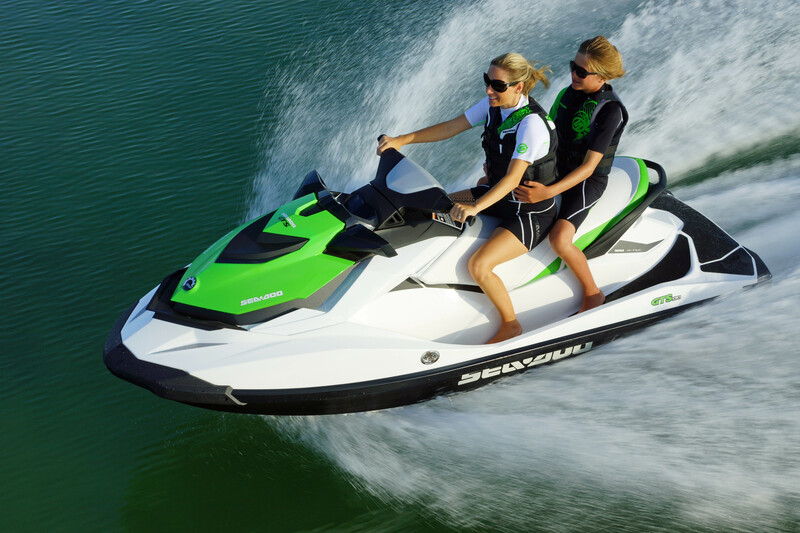 It offers new style at an entry-level lower price and is playful yet powerful, it is available in the all-new Lucky Green coloration in 2013, and provides increased peace of mind with features such as Sport and Touring Mode, O.T.A.S., Rear-View Mirrors, Sea-Doo Learning Key, CLCS and D.E.S.S.